If you’re travelling to Brazil for the Rio 2016 Olympic and Paralympic Games please also visit our ‘Stay Ahead of the Games page’. 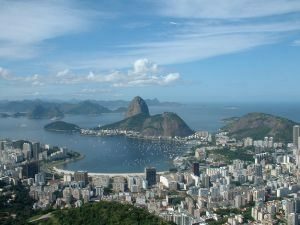 There have been incidents of violence in the northern Brazilian city of Natal related to a dispute between prisoners and local authorities. Public transport and services within the city are affected. The airport is currently operating as normal. If you’re in Natal, avoid demonstrations, follow the advice of local authorities and monitor local media. Cases of locally transmitted Zika virus have been confirmed in the last 3 months. You should follow the advice of the National Travel Health Network and Centre and discuss your travel plans with your healthcare provider, particularly if you’re pregnant or planning to become pregnant. 189,269 British nationals visited Brazil in 2015. Most visits are trouble free. The number of dengue fever cases in Brazil as a whole has increased considerably in 2015, especially in the south-east and central-west. Cases of Chikunyunga virus have been confirmed in Brazil and the number of reported cases in the region is increasing. For more details about this outbreak, see the website of the National Health Network and Centre. You should take steps to avoid being bitten by mosquitoes. From July 2016, visitors to Brazil from or in transit through Angola and/or the Democratic Republic of Congo (DRC) must present an International Certificate of Vaccination or Prophylaxis against yellow fever with a vaccination date at least 10 days prior to travel.